Sometimes, a horror movie is just so good that even non-horror fans can get behind it. 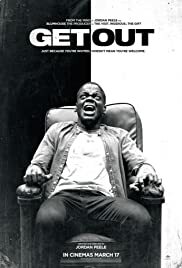 That’s exactly what happened when Get Out came to theaters. This is my Day 6 pick for 31 Days of Halloween, and it’s one of the BEST horror movies I’ve ever seen! There’s just so much to unpack in this film! There is a cultural critique of racism and tokenism that emerges in this movie in both subtle and overt ways. I don’t want to give anything away just in case you haven’t already seen it, but there are so many images reminiscent of the days of slavery that will make you question how far we’ve really come as a society and show how much work there is left to do. 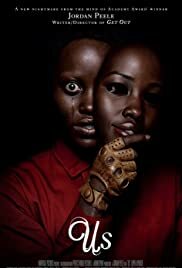 Like many people, I was intrigued by the fact that this was written and directed by Jordan Peele, who is well-known for more comedic works. However, this movie was near perfection! This is clearly his true milieu, and I can’t wait to see the next horror movie he comes up with. If you only watch one movie on my 31 Days of Halloween list – this should be the one!